As an attorney at the Sylvia Rivera Law Project I feel an urgent need to reflect upon President Obama’s promise of Comprehensive Immigration Reform (CIR) and what this means for our community. 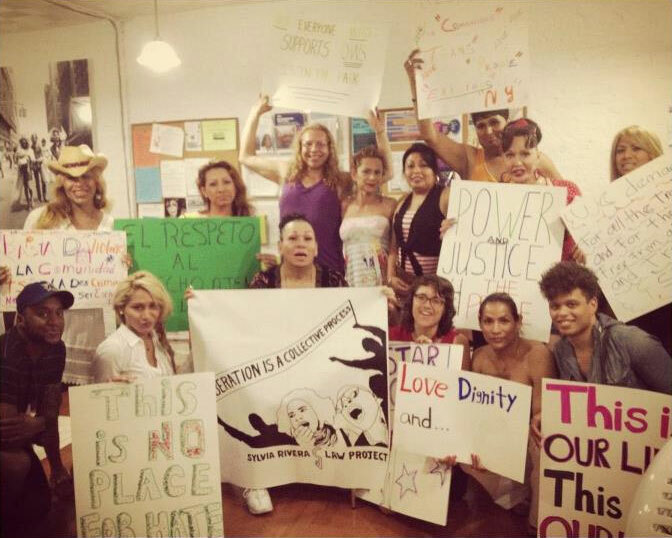 Most of our trans immigrants clients flee their homes in search of safety; most have little community and/or family support; very few have jobs in above ground economies; very few have healthcare that they need and even fewer have partners who want to marry them as a pathway to citizenship. Most of my clients have multiple criminal convictions because of the ways in which their identities are policed. When they ask me when the President is going to give them “amnesty” I have to respond that he is not. In fact, I have to tell my clients that CIR – as laid out in President Obama’s plan – only minimally helps them if at all. Although I agree with the proposal to repeal the one year bar for asylum applicants, the majority of President Obama’s four-part plan focuses on increased security from immigrant communities and increased criminalization of immigrant communities. As we dare to dream bigger, we envision a world in which CIR undoes the criminalization and deportation of people who experience their immigration status through race, poverty, sexuality and gender identity. Dismantle Secure Communities, which mandates that any person arrested by local law enforcement will have their fingerprints sent to ICE to determine if they are a “match” in the immigration database. Repeal the U and T Visa requirements that survivors cooperate with law enforcement and prosecutors in order to obtain immigration benefits. Permanently end the ways in which the immigration system relies on local law enforcement, prisons and jails, militarization, privatization and prosecution for its existence. We want to be able to tell our trans immigrant clients that there is hope for a real pathway to “legalization” in which they can thrive and live without fear of violence, discrimination, criminalization or death. That President Obama’s “big plan” will help them in some way; that out country cares about all immigrants whether they are getting married, joining the military or not. Finally, we want to tell our clients that a path exists for immigration, through which they can express their gender identities, expressions and whole selves without fear of criminalization and deportation. Join us as we ask that CIR is not a plan to increase militarization, assimilation and capitalism but instead a commitment to support our communities who are resilient, vibrant and necessary! Volunteer with SRLP on Small Works for Big Change 2013!